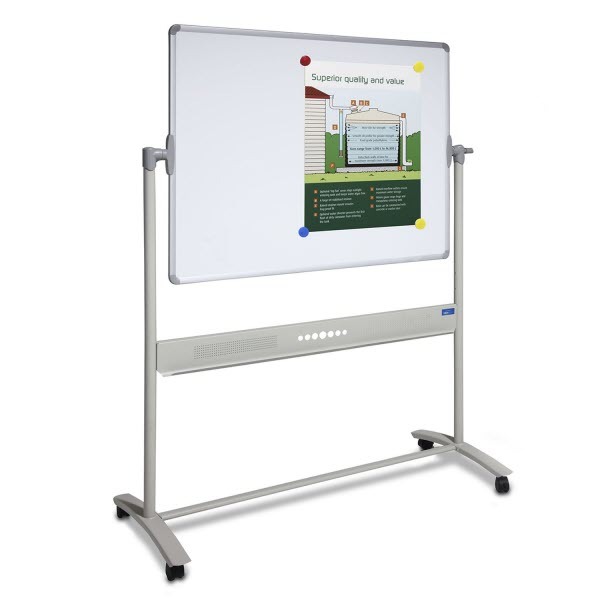 Stylish corporate good looks with strong design features set this mobile whiteboard apart from the rest. 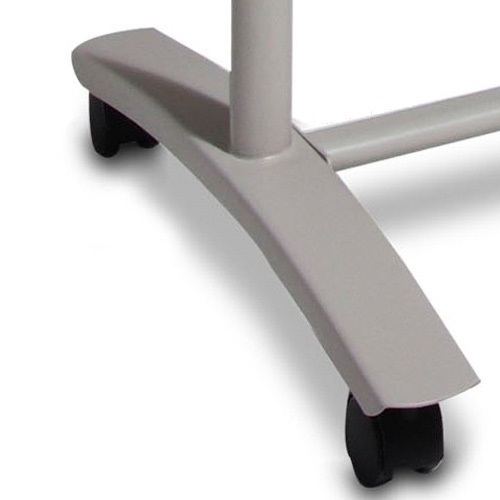 Durable, tubular steel construction frame in a Pearl Silver power coated finish for long life. 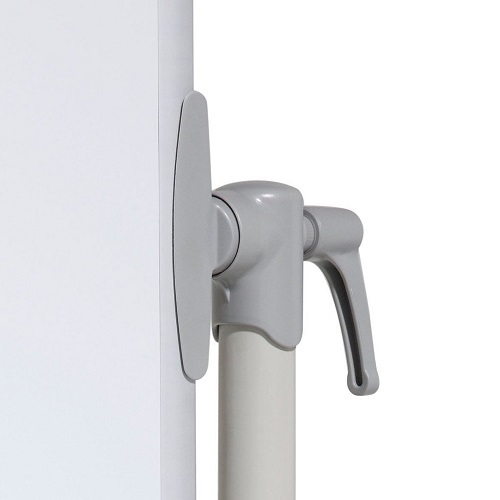 Features 'anti sway' cross bar with integrated pen tray, unique locking mechanism and lockable castors. 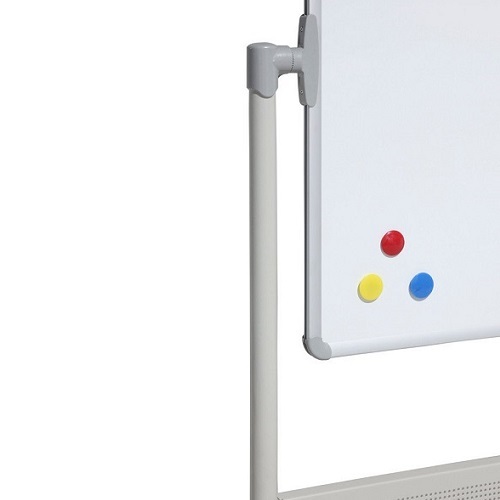 Magnetic whiteboard with 8 year guarantee on writing surface under normal usage and conditions.